Got some cool haul for the day. 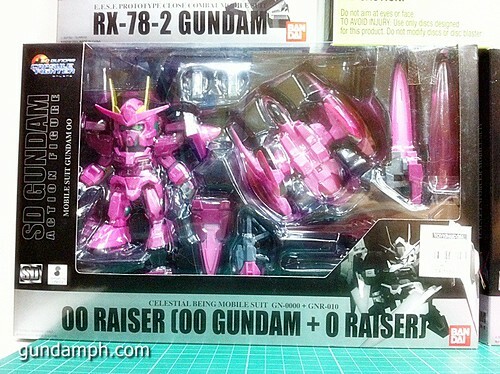 We have here 3 SD Gundam Online figures who are “rare color” variations. 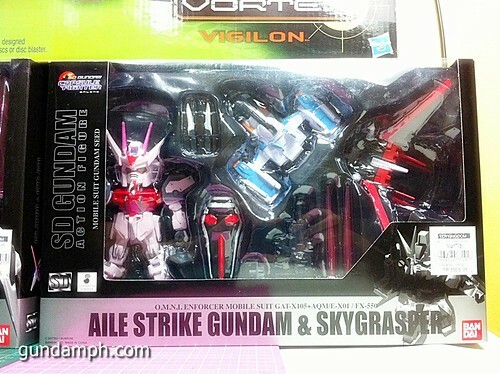 That is how Bandai calls it if you check on the backside of the box. You only get one rare color variation for each box shipment. Much like your Magic trading cards wherein you have one awesome booster pack out 50 packs. 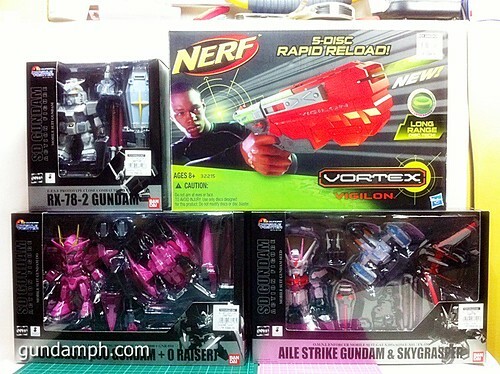 What we got were Trans-Am 00 Raiser, Aile Strike Rouge and RX-78-3 aka G3. 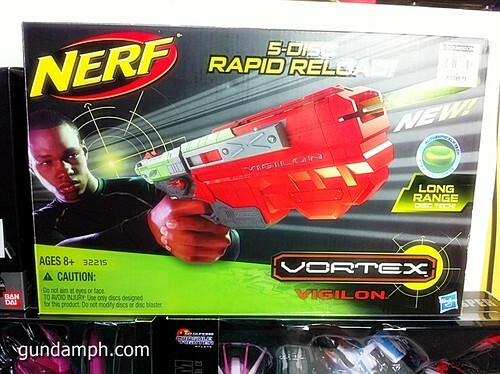 We also bought our very first Nerf disc type blaster (vortex) called the Nerf Vortex Vigilon. Below are photos of the haul. Looking forward to review these items. yan ang una namin nakita… kaya naghalungkat kami dun sa TK Mega haha… meron pa nga nung SDGO Deathscythe Hell Custom na purple ung body…. 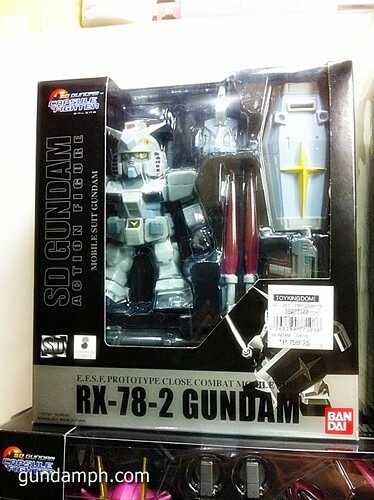 Hello, just want to ask, which is better for you: SD Gundam Online Figures or the SD Archive Series? 🙂 I like them both becuase they have legs, and somehow taller unlike conventional SD Figures. I have a hard time browsing for comparison review between SDGO and Archive series. Thanks! 🙂 Nice hauls by the way! Actually, I bought one at Greattoys. It is a different version from the ones found in SM Megamall (TK). Even so, I am still not sure which of the 2 is the “pearl” version. 🙂 Hey, if I found one again I’ll pm you asap!